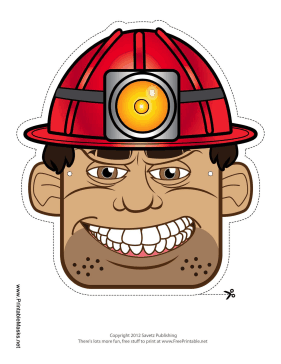 With his sturdy helmet flashlight, this male miner is ready for anything in the depths of the mines. His brown hair, brown eyes, and freckles make this miner mask a real winner. This mask is free to download and print.